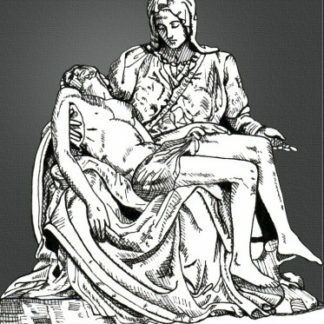 The lovely and touching face of Michelangelo’s Madonna of the Pietá is said to have been modeled after Michelangelo’s own mother. 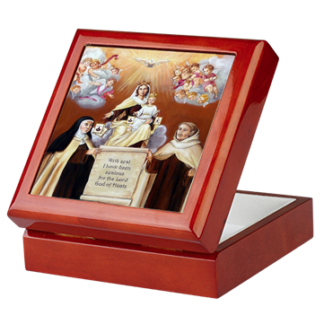 As a keepsake box, it is a beautiful place for a rosary or other special momento. 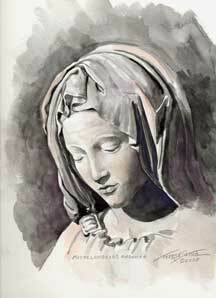 The original picture was done in watercolor. 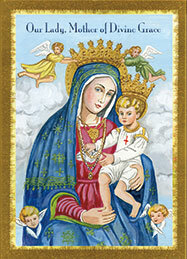 Prints and note cards of this image are also available. 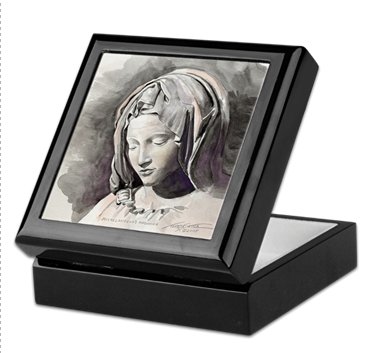 This hardwood box is available in black lacquer or mahogany and showcases a ceramic tile. Spring-loaded hinged lid stays open and snaps closed. This lovely Keepsake Box is perfect for stylishly storing jewelry & mementos. 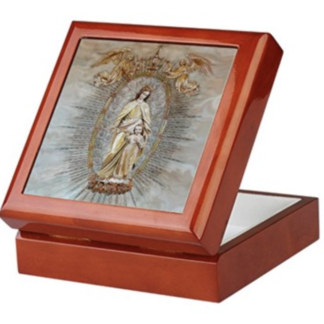 It is especially nice as a rosary box. This hardwood box showcases a ceramic tile. Spring-loaded hinged lid stays open and snaps closed. I wasn’t expecting this box to be that beautiful. And I never write reviews but had to after receiving it. My sis made rosaries as a wedding gift and were absolutely gorgeous and I was responsible for the box. I didn’t think I could match her gifts but I was mistaken. Stunning. Thank you!